Newell Brands has a long-standing commitment to corporate social responsibility, with a persistent focus on delivering value that’s shared by our employees, customers and communities. As a leading consumer goods company that touches millions of lives daily, Newell Brands is uniquely positioned to help create a more sustainable world. Our emphasis on responsible environmental stewardship enables our consumers to fulfill their aspirations to live, learn, work and play more sustainably. To that end, we are committed to maintaining the highest levels of environmental performance throughout our operations and supply chain, and we strive to design, manufacture, market and distribute products using environmentally-sustainable and socially-sensitive business practices. As a corporation that employs over 30,000 employees globally, we also deeply believe in the importance of giving back, serving and investing in the communities where we operate. Because the choices made at each step of the product life cycle have an impact on the environment, sustainability considerations are embedded at every stage of our design process. We’re focusing on sustainable innovation early in the design process for both our products and packaging, leveraging the appropriate design criteria that will apply through the entire product life cycle, without losing focus on key consumer needs. We’re increasing our use of greener materials and exploring biomaterials across our product divisions. We also work toward eliminating PVCs in our packaging. We’re building product platforms focused on reusability, durability and recyclability. Our life cycle analysis framework calculates the environmental impact for every given product: from input materials to manufacturing, packaging, distribution and end-use of a product, as well as its disposal at the very end of the product’s life cycle. Newell Brands’ portfolio includes many products that help reduce environmental impact, such as those manufactured by leading designers of durable beverage containers Contigo and bubba, as well as by First Alert, the developer of one of the world’s smallest smoke alarms, which uses 52 percent less resin and 76 percent less plastic than the standard smoke alarm. Below are additional examples. The United States Department of Agriculture (USDA) reports that 30-40 percent of all food supply is wasted. In 2010, food waste in the U.S. accounted for 31 percent of food loss at the retail and consumer levels, which was approximately 133 billion pounds of food, worth $161 billion. The Rubbermaid FreshWorks™ program was created to help remedy this problem by emphasizing the importance of reducing food waste via better preservation. Leveraging a revolutionary technology in our Rubbermaid FreshWorks products via a membrane that naturally regulates the flow of oxygen and carbon dioxide, the new product line offers a more optimal environment that keeps produce fresher, longer. When looking for outdoor equipment, consumers are increasingly interested in products that are made of natural materials and use fewer pollutants. 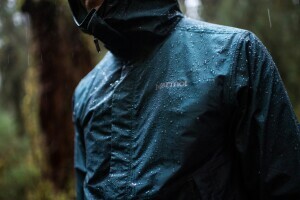 At Marmot, a brand that has produced high-quality technical clothing and equipment for outdoor enthusiasts since 1974, minimizing environmental impact is a priority. With the Treadlight initiative, Marmot looks to reduce chemical applications in the manufacturing process while maintaining or improving quality and performance of the raw materials and overall product. Under the Treadlight series, Marmot EVODry products are completely perfluorinated chemical-free (PFC-free) and made from recycled nylon. The latter is an alternative that improves color longevity and significantly reduces the use of harmful dyes. It also helps with lowering petroleum and energy consumption compared to virgin nylon. Marmot also has a Featherless Eco collection, which is high-loft synthetic insulation made from recycled materials and meets the thermal performance of 700 fill power down. Similar to the careful evaluation of our products’ environmental impact, we rigorously assess our footprint across our facilities and supply chain. 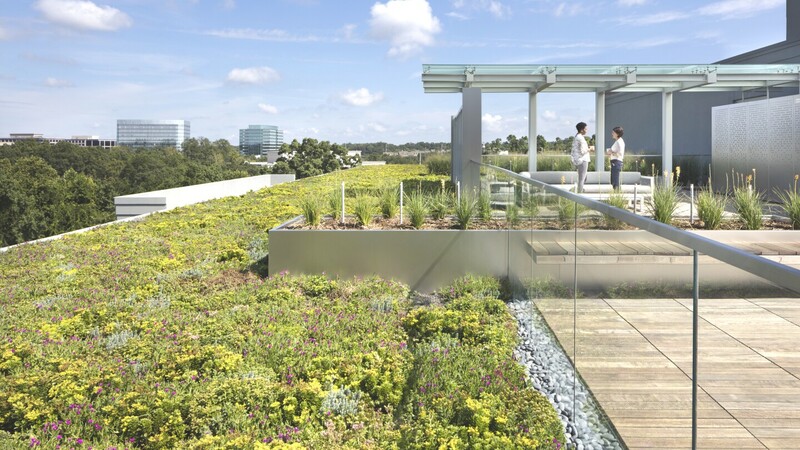 We have taken an aggressive approach to minimizing our energy, water and waste usage, and improving our environmental compliance and risk management systems. Our entire supply chain is focused on reducing our energy footprint in our facilities and offices. We rely on big data to monitor energy consumption, determine baseline, forecast performance and reduce overall energy spend. In December 2016 , Newell Brands' Writing Division implemented a 27 KW Hybrid Solar Power system in our Reynolds factory in Chennai, India. The new hybrid solar system generates energy to power the plant; it utilizes T8 LED tube light fittings and solar street lights as well as batteries to store energy; and it operates as a backup power supply during blackouts. Before the system install, the plant used 75 percent more energy than it does today. In 2016 , Yankee Candle implemented an LED lighting project at its storage facility located in South Deerfield, Massachusetts, upgrading the existing 175 (460w) Ceramic Metal Halide High Bay Fixtures with new energy efficient LED fixtures (240w) and lamps. Occupancy sensors were installed on 50 percent of the new fixtures. This project was partially funded by the local electric utility company with energy efficiency rebates accounting for over 50 percent of the total project cost. It served as an excellent example of how sustainability can improve cost savings, reduce environmental impact and support workplace safety. Newell Brands strives toward zero waste to landfill in all our activities, on the move (transport or distribution) and geographically (factories and offices). From the early stages of product design, to manufacturing waste disposal, we’re continuously improving our waste footprint. We partner with companies such as gCurv and Recyclenet to further understand how we can achieve a circular economy. Newell Brands is aiming for our entire carrier fleet to be SmartWay certified, with more than 80% certified to date. Newell Brands has implemented a comprehensive social compliance and responsible sourcing program to ensure our operations follow the highest ethical standards and meet all applicable laws and regulations. We regularly perform audits on our suppliers to assess compliance with Newell Brands' Vendor Code of Conduct and Newell Brands' Responsible Sourcing Manual requirements, both of which outline our program expectations and best practices for driving continuous improvement (areas of focus include laws and regulations, anti-bribery, wages and benefits, working hours, child labor, forced labor and anti-slavery, health and safety, environmental protection, dormitory standards and subcontracting). Newell Brands offers solutions-driven training and support to drive positive change. For over 10 years, we have hosted and conducted annual training events about social compliance and responsible sourcing with our suppliers. These training sessions are aimed at sharing best practices with suppliers and cover a variety of topics, such as fire safety, working hours, management systems and transparency. In addition to our annual supplier training events, we conduct training webinars on a quarterly basis for our suppliers on a variety of topics, such as forced labor and environmental management systems. Newell Brands’ mission is to make life better every day, where people live, learn, work and play. For the people at Newell, investing in our community is key to achieving that, and a defining contributor to our corporate culture globally. Through charitable contributions of time and product, and a number of initiatives at the corporate and division levels, we are able to touch lives and communities where we operate. In partnership with KaBOOM!, a national nonprofit dedicated to giving all kids great, safe places to play, Newell Brands funds and helps build playgrounds in the communities closest to the company’s operations. Each project under this initiative is achieved with the help of hundreds of Newell Brands employee volunteers across the United States. In 2018 alone, Newell Brands donated over $1 million in products, hosted supply drives and volunteered with homeless and animal shelters, food banks, the Special Olympics, as well as nonprofits that support early childhood & STEM education, park systems and disease research. Newell Brands supports several organizations locally and domestically such as Room to Grow, Atlanta Public Schools (APS), Junior Achievement (JA) of Georgia, the Children's Hospital of Atlanta (CHOA) and the Kids in Need Foundation (KINF). We recognize that disasters can have a traumatic impact on the lives of employees, neighbors, business partners, customers and consumers. In partnership with national partners such as The American Red Cross, Newell Brands strives to respond to states of emergency in as many communities as possible, through corporate support, donations of product and employee contributions and volunteering. Newell Brands encourages its seven divisions – Writing, Appliances & Cookware, Outdoor & Recreation, Baby, Home Fragrance, Food and Connected Home & Security - to get involved in ways they deem most impactful in their respective communities, and most in line with their respective employee population’s volunteering practices. For example, the Newell Brands Appliances & Cookware Community Fund, created in 2004 and headquartered in Boca Raton, is an employee-funded program that supports organizations that uplift local communities, with a focus on hunger, women’s empowerment and at-risk youth. Newell Brands employees are encouraged to volunteer for a cause they care about, and as much as possible. Through give@newell, the company extends eight hours of PTO (paid time off) to eligible employees, as well as online tools to help track their involvement and connect as teams. 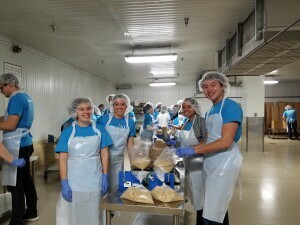 This enables employees to volunteer when and where they want, sharing their time and skills to support the surrounding communities, and coming together as teams under one strong community spirit. "A commitment to bettering our communities will always be an important part of who we are."